Frank Edward Oetgen was born on 29 February 1928 in Georgia. This was a leap year so they celebrated his birthday on February 28th every year.1 He was the son of Ernest Julian Oetgen Sr. and Katherine Mays. Frank Edward Oetgen died on 3 July 1993 at age 65. William Hottendorff Oetgen was born on 31 January 1873 in Charleston, South Carolina.1 He was the son of John Herman Gerhardt Oetgen and Marguerite Rebecca Katharine Meyer. William Hottendorff Oetgen married Emma Johanna Meyer before 1893. William Hottendorff Oetgen and Emma Johanna Meyer lived in 1900 in Ward 3, Charleston, Charleston County, South Carolina. William Hottendorff Oetgen lived in 1910 in Savannah, Chatham County, Georgia. He and Emma Johanna Meyer lived in 1911 in Savannah, Chatham County, Georgia. William Hottendorff Oetgen was He was the Superintedent of Mail for the United States Government. on 12 September 1918. He and Emma Johanna Meyer lived on 12 September 1918 in Savannah, Chatham County, Georgia. William Hottendorff Oetgen and Emma Johanna Meyer lived in 1920 in Savannah, Chatham County, Georgia. William Hottendorff Oetgen lived in 1927 in Savannah, Chatham County, Georgia. He died on 17 July 1939 in Savannah, Chatham County, Georgia, at age 66 of angina and diabetes. He was buried at Laurel Grove Cemetery (North), Savannah, Chatham County, Georgia. Frank P. Oetgen was born in January 1900 in South Carolina. He was the son of William Hottendorff Oetgen and Emma Johanna Meyer. Pansy Bragg was born on 10 September 1897.1 As of after 1915,her married name was Oetgen.1 She married Walter Fuseler Oetgen, son of William Hottendorff Oetgen and Emma Johanna Meyer, after 1915 at Salisbury, Rowan County, North Carolina.1 Pansy Bragg died on 6 January 1985 at age 87.1 She was buried at Hillcrest Abbey East Cemetery, Savannah, Chatham County, Georgia. Walter Fuseler Oetgen was born on 1 February 1919 in Georgia. He was the son of Walter Fuseler Oetgen and Pansy Bragg. 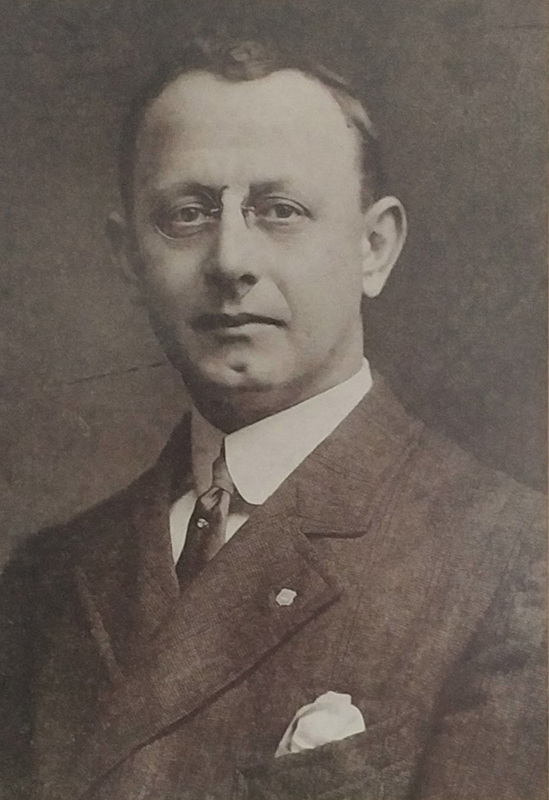 Walter Fuseler Oetgen married Edith K. (?) circa 1940. He enlisted and served during World War II on 1 June 1942. Walter Fuseler Oetgen died on 7 December 1974 in Savannah, Chatham County, Georgia, at age 55. Gloria Oetgen is the daughter of Walter Fuseler Oetgen and Pansy Bragg. Gloria Oetgen married (?) Dillion circa 1940. Joseph William Oetgen was born on 1 December 1926 in Thunderbolt, Georgia. He was the son of Walter Fuseler Oetgen and Pansy Bragg. He served in the United States Navy during World War II as an aviation machinist mate 3rd. class. Joseph William Oetgen married Sarah Ford after 1945. Joseph William Oetgen died on 18 June 2008 in Savannah, Chatham County, Georgia, at age 81 Josepeh William Oetgen, Sr. Born in Thunderbolt, Georgia on Dec. 1, 1926 and Departed on Jun. 16, 2008 Service: Thursday, Jun. 19, 2008 Cemetery: Hillcrest Abbey Memorial Park Please click on the links above for locations, times, maps, and directions. Joseph William "Joe" Oetgen, Sr, 81, died June 16, 2008 at his residence. He was born in Thunderbolt, son of the late Walter F. and Pansy Bragg Oetgen. He was a graduate of Savannah High School, Armstrong State Junior College and attended Clemson University and the University of Georgia. He began his work career with Wachtels Physicians Supply Company in Savannah. In 1958, he moved to Augusta, Georgia joining Marks Surgical Supply Company, serving as purchasing agent remaining there for 20 years. Mr. Oetgen later transferred to Houston, Texas living there for 2 years and on to Atlanta, Georgia living there 18 years retiring from Owens & Minor, Inc. after 40 years of service in the surgical supply field. He was a charter member of St. Luke's Lutheran Church in Thunderbolt and Advent Lutheran Church in Augusta, a former member of St. Michael's Lutheran Church in Doraville and a member of the Evangelical Lutheran Church of the Ascension. During his years, he was involved in many areas of church service to include, councilman, choir member and other areas. He participated in the Crafts Ministry at First Southern Methodist Church. Mr. Oetgen served in the United States Navy during World War II as an aviation machinist mate 3rd. class. Surviving are his wife of 56 years, Sarah Ford Oetgen of Savannah; two sons and a daughter-in-law, Joseph W. "Jody" Oetgen, Jr. of Savannah; William E. and Cindy Oetgen of Jacksonville, FL; sister, Gloria Dillon and her husband, Frederick of Pensacola, FL: granddaughter, Tori Nicole Oetgen of Atlanta and several nieces and nephews. Memorial Service: 11:00 a.m. Thursday, June 19, 2008 at Fox & Weeks Funeral Directors, Islands Chapel. Burial: Hillcrest Abbey Memorial Park. Remembrances: Enlarge Our Vision, C/O Evangelical Lutheran Church of the Ascension, 120 Bull St, Savannah, GA 31401. Please sign our on-line guestbook at www.foxandweeks.com. Sarah Ford married Joseph William Oetgen, son of Walter Fuseler Oetgen and Pansy Bragg, after 1945. Joseph William Oetgen is the son of Joseph William Oetgen and Sarah Ford. 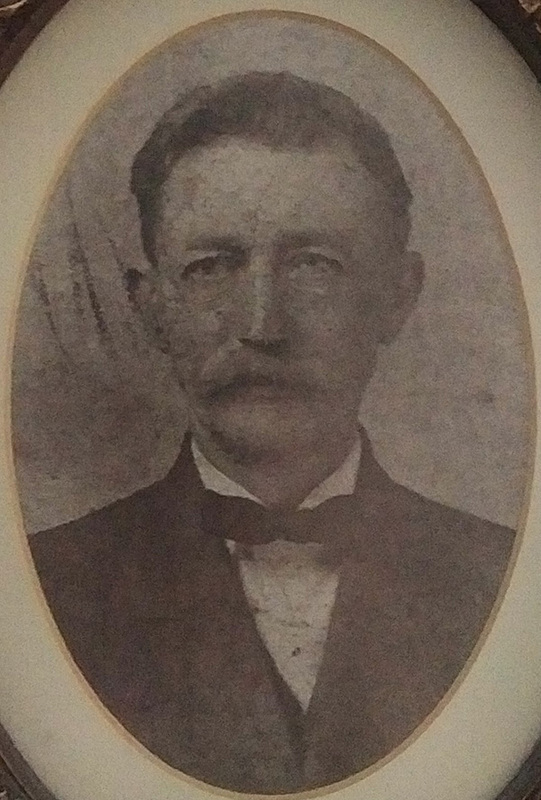 William E. Oetgen is the son of Joseph William Oetgen and Sarah Ford. Cindy Oetgen is the daughter of Joseph William Oetgen and Sarah Ford. (?) Dillion married Gloria Oetgen, daughter of Walter Fuseler Oetgen and Pansy Bragg, circa 1940. Edith K. (?) married Walter Fuseler Oetgen, son of Walter Fuseler Oetgen and Pansy Bragg, circa 1940. Sydney H. Graham married Robert Mays Oetgen, son of Ernest Julian Oetgen Sr. and Katherine Mays, in 1954 at Duval County, Florida. George A. Ellison was born on 14 June 1917. He married Alice Rosie Bagwell, daughter of George Oscar Bagwell and Artie Elizabeth Holder, after 1935. George A. Ellison died on 17 January 1991 at age 73. He was buried at Hillcrest Memorial Park, Pickens, Pickens County, South Carolina. Wideman Franklin Roper was born on 22 September 1920 in Pickens County, South Carolina. He was a Sargent in the United States Army during World War II. He married Marge Bagwell, daughter of George Oscar Bagwell and Artie Elizabeth Holder, after 1945. Wideman Franklin Roper died on 16 May 2010 in Pickens County, South Carolina, at age 89. He was buried at Bethlehem United Methodist Church Cemetery, Pickens County, South Carolina. Herman Furman Bagwell is the son of Herman Furman Bagwell. (?) Hall married Lorine Bagwell, daughter of George Oscar Bagwell and Artie Elizabeth Holder, after 1946. Alfred Peter Bagwell was born on 2 December 1941 in Maryland. He was the son of Alfred Aloysius Bagwell and Herrmina Anduazya. Alfred Peter Bagwell died on 18 August 2008 in Beltsville, Prince County, Maryland, at age 66. Elizabeth Oetgen is the daughter of William Hottendorff Oetgen and Emma Johanna Meyer. Margaret Oetgen is the daughter of William Hottendorff Oetgen and Emma Johanna Meyer. John Herman Gerhardt Oetgen was also known as John G. Oetgen. He was born in 1850 in Bremen, Germany.1 He married Marguerite Rebecca Katharine Meyer, daughter of Margaret (? ), in 1872. John Herman Gerhardt Oetgen died on 12 June 1917 in St. Joseph's Hospital, Savannah, Chatham County, Georgia, of pneumonia.1 He was buried at Laurel Grove Cemetery, Savannah, Chatham County, Georgia. Marguerite Rebecca Katharine Meyer was born in October 1850 in South Carolina. She was the daughter of Margaret (?) As of circa 1872,her married name was Oetgen. Marguerite Rebecca Katharine Meyer married John Herman Gerhardt Oetgen in 1872.